I just received a quart of beef tallow from my farmer (amazing what I can get excited about!) and tonight I’m going to fry something in it. Probably fish or crab cakes. 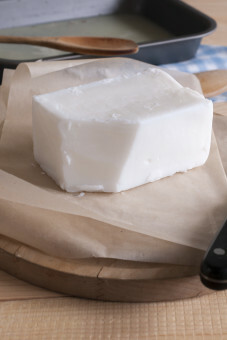 Traditionally, tallow was used for high heat frying in most fast food restaurants because it remained very stable under high heat conditions and imparted a good flavor. The switch was made in the 1970’s when the vegetable oil industry gained power and propagandized the (supposed) benefits of polyunsaturated fats. If saturated fats like tallow cause heart disease, then why is heart disease an epidemic today when hardly anyone uses tallow anymore? Sadly, the USDA still encourages the use of these highly refined polyunsaturated seed and vegetable oils that are probably the greatest contributors to obesity, diabetes, heart disease and cancer. The reason for this is that these vegetable oils are highly refined and have toxic elements in them. They are also unstable in heat situations and this causes them to oxidize. Oxidation breeds free radicals and free radicals damage cells, tissues and organs in the body. This damage includes cell membrane damage which is the basis of many diseases. In contrast, saturated fats from clean, healthy animals that are humanely raised on pasture are protective and necessary for the human body. These are the fats our ancestors have eaten for centuries, way before oil refineries were established.